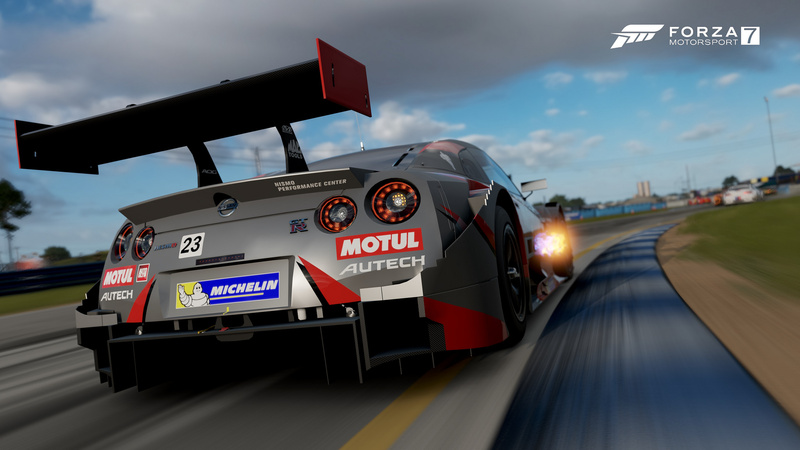 Discussion in 'Forza Motorsport 7' started by GTPNewsWire, Oct 14, 2018. This article was published by Kyle Patrick (@SlipZtrEm) on October 14th, 2018 in the Forza Motorsport 7 category. KingK76, marcvic, BrainsBush and 2 others like this. 'The biggest racing' game is that suppose to be a jab at GT lets keep it real. I don't think it's meant as a jab at anything, of the 3 games released a year ago it is easily the biggest just like PC2 is the deepest. I'm guessing GTS will receive a similar article and title in the coming weeks. Imari, SlipZtrEm, Vigne and 4 others like this. No, it's called reading the article. With far and away the most content of the Big Three to launch in 2017, FM7 staked its place in the genre on having something for everyone. It was the more approachable title, the friendlier one. We’re going to look at how that reputation served it well, and how — in ways — it actually hurt Motorsport 7. Imari, SlipZtrEm, mc0029 and 3 others like this. I'm guessing GTS will receive a similar article and title in the coming weeks. RikkiGT-R, palqo, Cloudy and 2 others like this. "The biggest bet of the year (Still needs Spa)"
"The GT-est game of the Big Three"
That is Forza. GT is the iRacing-est of them three. Imari, GregOr1971 and UKMikey like this. We had pit stops13 years before you. Cloudy, GT6mebe, DR_MOJO91 and 3 others like this. And there I thought it was cars and tracks which were most important. Imari, palqo, GT Sport and 1 other person like this. The "Real Pit Stop Simulator" tagline doesn't really fit a franchise that takes forever to make games. Dresden, prousonhairy, Master Weasel and 2 others like this. Come on, it was a joke.. I miss the nice orchestra type music we had from FM3(ish)-FM6. It’s what made the games feel unique in my opinion. I actually enjoyed browsing the menus, tuning the cars up, upgrading them with the calm music in the background. It’s what made the Forza games feel so special in my opinion. The generic rock music is awful. The Rock music worked in FM1, but that was the first Motorsports game and the music wasn’t half as bad. I know it won’t hapoen, but it would be so cool if an update came where we could switch between what type of music we can listen to during the menus. Before I get a response, or if I do, I am fully aware that I can mute the music or use a music app (apparently) but that’s not the point. And I’m aware it’s not a big issue. I just thought I’d share my opinion. And tbh, since a lot of the cars gotten put into the dealerships I’ve really been enjoying FM7. A lot more than PC2 & GTS. But that’s just my opinion. All are great games in their own right. matzel, FT-1, Scraptacular and 2 others like this. "The Real No SPA Simulator"
The generic rock music is awful. Generic Rock music somehow equals to racing games to some people. Don’t forget being able to actually run out of gas. Good read. I'm looking forward to what the future holds for Forza Motorsport. Earlier this year, I wouldn't have said the same thing. I know it won’t hapoen, but it would be so cool if an update game where we could switch between what type of music we can listen to during the menus. The song is called Coefficient pt.1. UKMikey and GTPVenomZombie like this. Come to think of it, "The world's latest driving simulator" is probably a snappier title. I only played FM2-4, most recently tried FM7 this year because of my brother's house. It hasn't really gotten me interested in trying the new Forza Motorsport and giving it another chance. I remember when I first played FM2 about a year ago and found out the game had different tire types/grips. Now that I have to say was a good example of improving the racing game standard, but I haven't seen that feature since it would add in a lot to the game. Painting the brake calipers too. I've had a quite a bit of fun with those games, but I can't get into FM7 because it doesn't make it fun like the last ones did. I like both GT/FM, but with the newer releases I'm starting to have complaints about them after trying the new games they have released with the exception of FH4. Oh god the Saab 9-3 Viggen. Really glad to see the positive responses to these retrospectives. We decided a while back that @glassjaw's Mirror Mode structure made the most sense here: we wanted concise, honest appraisals of every title's strong and weak points, and a look at what might be happening in the future. FWIW, I've found myself playing FM7 less than I did FM6, even though I recognize that, technically, it's the better game. A lot of the gameplay decisions that seemed like innocuous enough tweaks on the existing formula back around launch (homologation, exclusive cars, "interactive loading" leading to no way to easily restart races) actually impacted long-term replayability. I still like the push to make collecting more of a thing, but it could be expanded upon even further. Homologation also makes sense in theory, but the main issue there was that it was the overriding ruleset in the career instead of the secondary one — and it was the only one most of the time. I didn't even have a problem with the basic idea of exclusive cars that could only be found by completing certain tasks, or the Specialty Dealer. But the latter was under-utilized, and there was too little info on when players could actually be able to collect certain cars. As a game in the classic GT mould, where you have hundreds of cars that you can build into your own personal rides, and get a rough idea of what it'd be like to take them out on the track, it's still a fantastic title. Imari and Gregfranklin like this. If they nail the physics down, the FF and wheel support.... this game would be KING!!!! Yeah, I turned the music off in FM7 long ago. I loved the clean UI and chill beats in FM4. How about if they actually fixed the damn game?? On pc it runs like complete garbage due to a suspected bad memory leak. Still to this day it runs like trash. Constant stutter, frame drops, lag no matter my settings. Acording to turn 10 my system out performs their recomended system requirements, and even running a benchmark it shows i can run in 4k solid and stable. In the real world though? Not a chance. Also the AI is absolutely atrocious. I woudl have to say probably the worst ive seen in a racing game. Personally im gonna probably skip forza 8. Ive had a bit of fun on horizon 4, though i got it through game pass. That's no excuse for having absolutely no pit stop animation at all though. While not the most important aspect of a racing game, it does help make the game more immersive. Besides, almost all other big racing titles nowadays have pit stop animation. And I doubt I need to remind you the quantity over quality approach in recent FM titles when it comes to cars (terrible car sounds of many cars for example). You can tell that Turn 10 just don't take the cars seriously enough. GT Sports does have its own issues, as do all other racing titles. But using other game's issues as an excuse to deny, or ignore the issues of FM7 is really just fanboyism. Criticism should always be welcomed, as long as it can help improve the game. GT6mebe and Dopplegagger like this. FFB settings are no. 1 priority setup. This is where all the current driving games fail on the whole line. All of them brag how they got the physics and simulation right and fail completely to translate that fact into the wheel. Even when the game supports your wheel and you select it correctly. AC, GTS, FM, PC, you name it. There is not a single game that I did not have tinker around with FFB to make it right. In case anyone interested in Fanatec CSW settings, let me know. Still in progress, but I have the rough numbers where it needs to be. But using other game's issues as an excuse to deny, or ignore the issues of FM7 is really just fanboyism. If that's the case then using another game's features to denigrate FM7 for something that's relatively trivial compared to other omissions in the game is fanboyism to a greater extent. It's a purely cosmetic detail and hardly proof of the game's inferiority as a racing title. It might be a purely cosmetic detail but it's important nonetheless. The whole livery editor thing is also purely cosmetic, but imagine how angry fans would be, if it wasn't in the game. Now details like these wouldn't matter if the racing itself was excellent, but the problem is it isn't, far from it actually (don't even get me started on the atrocious online racing). So when they can't get the most important thing right, it becomes really hard to overlook those "trivial details".